Where is the cash to fund your dream? 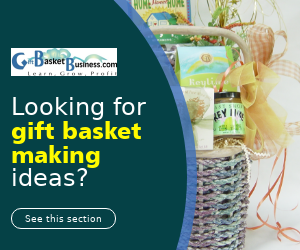 This article uncovers where to find money to start a gift basket business. Finding money for any risky venture is not easy. This is true for every business because any business you want to start is in the “high risk” category. You might make money, and you may not. That’s the risk. This is the reason why it’s difficult to convince people you know well to invest in your idea. You must provide them with concrete information to get them digging into their pockets. In addition, this requires is a level of trust that comes from things you’ve done in the past. If you’ve been smart about money, not wasting it on what potential investors consider as frivolous, then there’s a good chance people will hand you cash. However, if you’ve spent your money as though there was a never-ending source, then people may not believe in your dream. Still, there are possibilities to find money to help you begin. First, you must decide how much money you need, and that requires research. 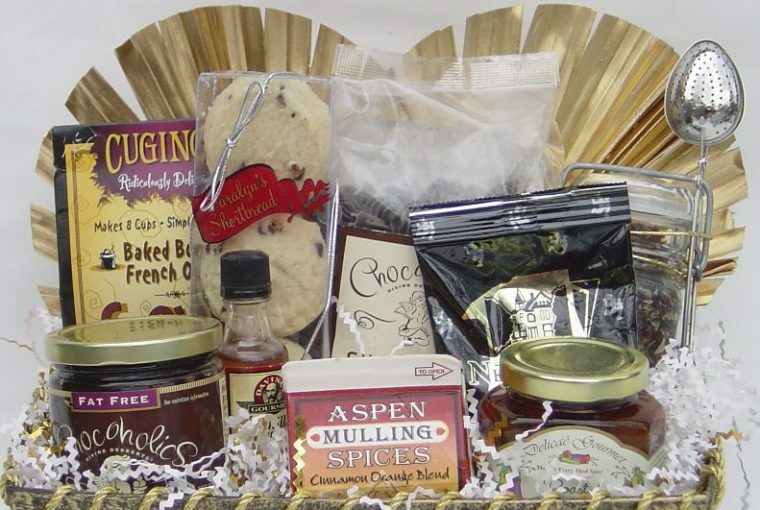 From there, you’ll know what you have on hand in order to determine what to buy for making and selling gift baskets. It’s important to look at what you already own that will be an asset in business. 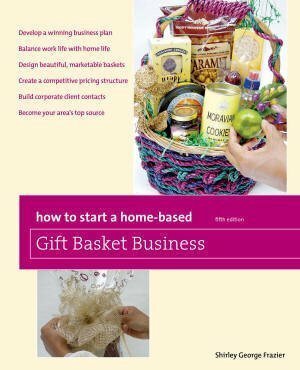 It’s a topic that’s reviewed fully in the book, How to Start a Home-Based Gift Basket Business. Your inventory review goes beyond one basket and some shred. Here’s a list of items you probably have on hand, but if you don’t, it will move into the “requirement” category. You may have more than these items. For now, this hopefully is what you have available. If not, add it to your buying list. Brand new, top-of-the-line products are not necessary. I began with items already in my home and found second-hand products at thrift stores, upgrading this administrative equipment when ready. Such equipment may be available free of charge through a local Craigslist listing. My sister found a long, sturdy table, perfect for gift basket making, on Craigslist, waiting for anyone to take it free of charge from the curb. It’s now in my studio. How much you pay for these items depends on your preferred store with the computer being the most expensive. I recently purchased a laptop computer for $200. The other four items may cost in the range of $200, bringing your initial investment to $400 or less if, again, you are resourceful. 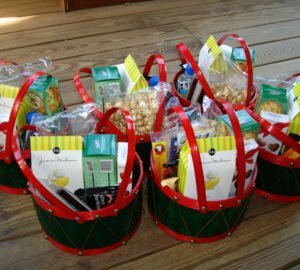 Make no mistake – you will need a lot of products and supplies to make gift baskets. This is a creative business that requires inventory. Here’s your starter’s list. Food and gift suggestions are mentioned in this article. All of these items are featured, in print and photographs, in The Gift Basket Design Book. These items must be brand new with the exception of the baskets and containers. Some baskets may already be in your possession for design research. However, these may not be baskets you sell. Equipment is also on your list. Are you starting a full-time or part-time business? How much inventory (foods, etc.) will you purchase? Will you have a big or small space for making and selling? If you’re starting small and have the five main items mentioned earlier (desk, chair, etc. ), your cost will be $2,000 or less. If your business vision is a big start on a full-time basis, the investment cost will be approximately $5,000 or more. There’s another choice. If you are making gift baskets one at a time, buying items as needed for upcoming events and occasions, you’ll spend between $50-$100 to start. This low figure is in the hobby category for a person who dabbles from time to time, enjoying creativity when an event approaches. These calculations are based on generalizations from gift basket designers I’ve helped to start their businesses. We research many needs and suppliers before designers pay for goods in a process that takes at least four weeks before we are satisfied with the results. In the end, designers are pleased with their choices. Figuring out what you need and the costs is not glamorous. 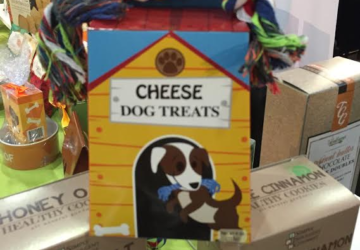 However, you don’t want to start a gift basket business or any business with a blindfold over your eyes. This is no time to guess about details. Know your costs so you can plan for success. You now have a good idea about what’s needed and how much you need to start. How are you funding this venture? I was lucky to cash in an insurance policy I no longer needed which provided me with $8,000. In addition, I was working at an Internet company making $55,000 a year. My start-up choices were still carefully crafted because I didn’t want to waste money. No matter how much you have, there still may be missteps in starting a business. That’s how I began, looking in my own pockets and not reaching out to others (with the exception of my mom who I mention below) who may or may not believe in my vision. Now it’s your turn to determine where to find the money. Here are options. Do you work full time or part time? If so, take time to list your expenses to learn if there’s a fixed sum of cash to put away each pay period. This is what designers I work with do to fund their dream. You may or may not have a savings account for additional monies, but it’s understandable if you don’t want to tap those funds. It’s your choice. What do you have to sell that you no longer want or need? Look around your home to see if items considered as valuable to others exist. Then pursue a way to sell it whether online or in person. 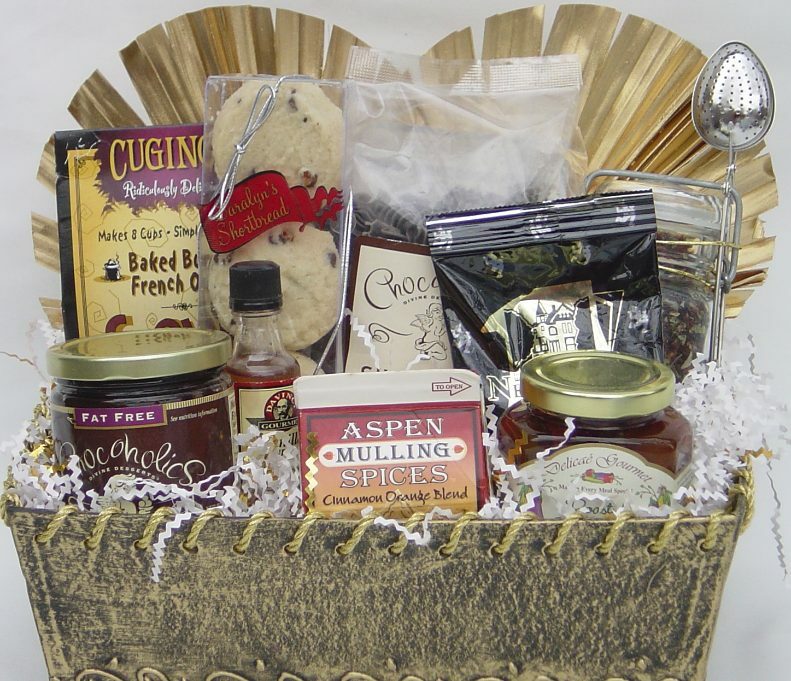 People who are close to you may want to provide money to start a gift basket business. They may want to get in on the ground floor of your venture, or not. My mom was a huge supporter of me, both in action (she helped me at craft shows) and funding (I still needed some funds in lean times). She’s always been a cheerleader. Is there such a person in your life that believes in you the same way? 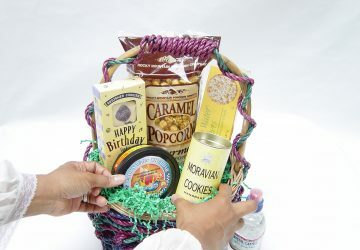 The reason you put together a list of your gift basket business needs, the above list of all equipment and supplies, is for you and to also show potential funders that you are serious about this business and its success. That’s the list you show others who may provide you with money. What they also need to see is that you have partial funding for this venture. I don’t believe that anyone will give you money if you have none, so be ready to prove you have some cash. I’ll always remember a friend who approached me as a possible investor in his custom T-shirt printing company. He gave me a business card with his company name and slogan. A word in the slogan was misspelled. I could have overlooked that. However, if he didn’t see it, how could I be sure he was mindful of other parts of his business especially T-shirt printing? I didn’t invest, and he did not open for business (not because of my decision). Be prepared for whatever choices family and friends make as well as their opinions which are sometimes harsh. 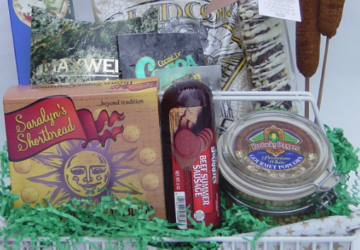 Still, if your passion is with gift baskets, keep your focus and move on. All types of businesses announce small business contests. I’ve seen notices from many industries – sausage makers, snack companies, furniture manufacturers, and more – giving back to start ups in the way they choose. I mention this because you can be surprised about which firms launch contests. However, don’t be so surprised that you miss the deadline. Go after that money. 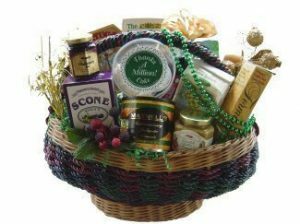 Years ago, I featured a business contest link in a blog post, and a new gift basket designer entered the contest. Months later she contacted me to announce that she won the $3,000 grand prize. I was elated for her. The news strengthened my belief that contests have potential to fund our creative ideas. Your state or country may offer grant money to start a business. In the U.S., grants are often featured through the state Small Business Development Center or SCORE. No one will tell you about grants. It’s up to you to use search on the web to find such opportunities. Grants are also available through numerous organizations, and there are many. One year I visited Foundation Center, a clearinghouse facility in New York City with grant information submitted by thousands of providers. I spent hours searching through thick binders listing grants offered by worldwide organizations. That was at a time when grant research was only available in person, as the Internet was not yet available. Today, you may be able to access details by visiting the Foundation Center’s website. Other grant options are found through library resources (ask the reference librarian for help). 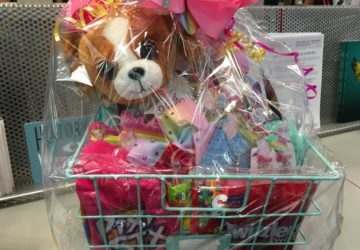 Many entrepreneurs also turn to GoFundMe, an online platform where you reach out to individuals with the potential to fund your gift basket business. There are rules to such funding, so be sure to read and follow the instructions. I have seen funding request notifications on GoFundMe from aspiring designers who want to make and sell gift baskets. 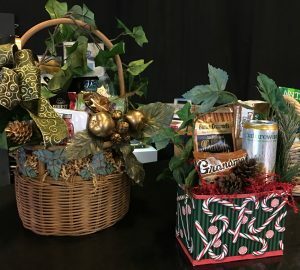 Where’s the money to start a gift basket business? You now have the complete scoop on locating cash to start this fabulous venture. Here’s the breakdown. 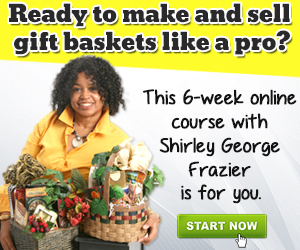 What’s your first step in finding money for your gift basket business? Did you find hidden treasure in your home, or are you still not sure how to proceed?